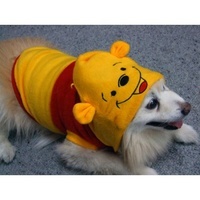 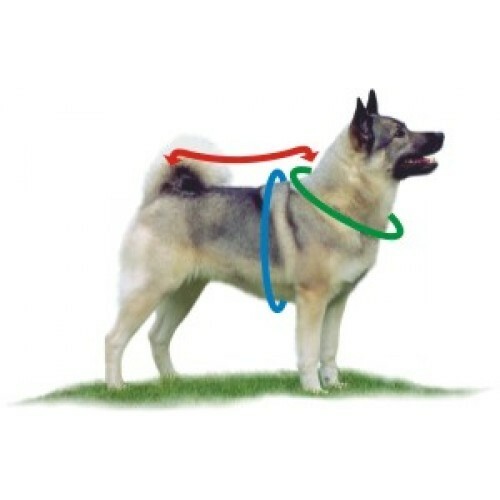 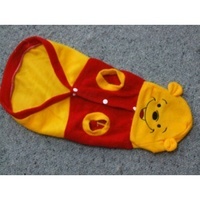 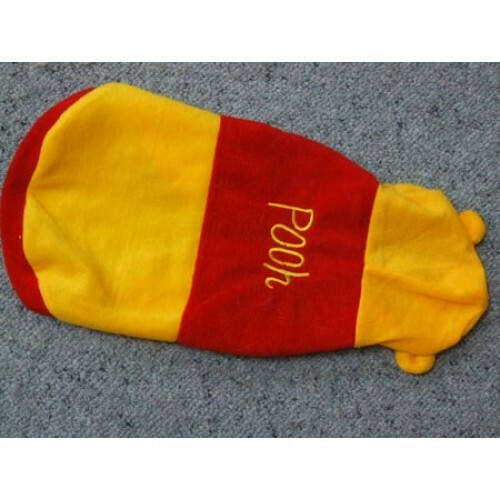 A warm and comfy Pooh coat for small dog breeds. Comes in 6 different sizes for a custom fit. 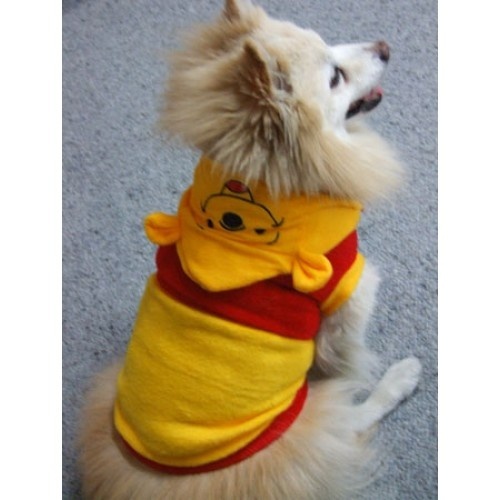 This Polar fleece "Pooh" dog coat with hood is ideal for keeping your beloved pets warm in winter, as well as making them the center of everyone's attention!